The “X-Men” franchise as we know it needs to end so that the Marvel Cinematic Universe can reinvigorate its characters after the Disney-Fox merger. Upcoming “X-Men” movies, “Dark Phoenix” and “The New Mutants,” have faced delays and extensive reshoots, which could spell trouble. The franchise’s timeline has become a convoluted mess, and the movies are only good when they ignore it. The MCU would breathe new life into the X-Men characters like it has others, but Disney shouldn’t be afraid to hit the pause button either. It’s been 18 years since the original “X-Men” movie arrived in theatres. It kickstarted a superhero movie revolution, leading the way for “Spider-Man” and other, less successful movies to follow in the immediate years after. Since then, the “X-Men” franchise has grown into its own cinematic universe, before that term was even mainstream. It’s spawned prequels, sequels, and spin-offs – some better than others. The Marvel Cinematic Universe owes a lot to the “X-Men” franchise, which has managed to churn out movie after movie over such a long period of time. 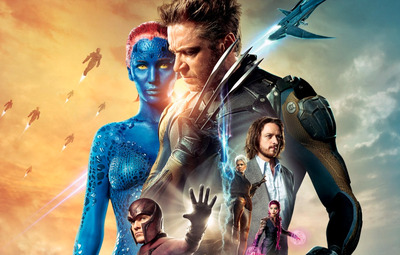 And now, the “X-Men” franchise as we know it needs to end – if only to survive. How it should do so is by succumbing to its new owner Disney and joining the MCU, which has been its competition for the last ten years. The next film in the “X-Men” series, “X-Men: Dark Phoenix,” was pushed back in March from this November to February 2019. And now, according to Montreal newspaper La Presse, the film will need three months of extensive reshoots, based on a report from the Quebec Film and Television Council. A spin-off horror movie focused on superpowered youths called “The New Mutants” also saw changes in its release date – twice. It was first pushed back from this April to February 2019, and then moved again to August 2019 for reshoots. Reshoots don’t necessarily spell disaster for movies, and the creators have maintained that they aren’t a sign of trouble. But reshoots can mean that a movie is in trouble. The “Star Wars” franchise is a fine example. “Rogue One: A Star Wars Story” went through reshoots, but ended up being, for the most part, a critical and commercial success. This year’s “Solo” was a different beast. It was the worst-reviewed movie in the franchise since “Attack of the Clones,” and was expected to lose Disney money when it disappointed at the box office. At this point, especially with the news that “Dark Phoenix” reshoots will take three months, it’s not hard to imagine that the franchise needs to be reinvigorated and start from scratch. The best way to do that would be for these characters to join the MCU after the Disney-Fox merger. Ever since 2014’s “X-Men: Days of Future Past,” the franchise’s timeline has been a convoluted mess. “Logan” got around that by being a standalone movie that focused on the title character, and subtly acknowledged the history of the other movies. The “Deadpool” movies have also been able to succeed despite the timeline issues, mostly because they are parodies of superhero movies that are only loosely connected to the “X-Men” franchise. But the most recent movie that tried to maintain its existence within the larger “X-Men” universe was a failure. “X-Men: Apocalypse” has a 48% Rotten Tomatoes critic score, making it one of the worst-reviewed movies of the series. It made over $US500 million worldwide, which isn’t terrible, but is also well below the R-rated “Logan” and both “Deadpool” movies, and its predecessor “Days of Future Past.” I don’t foresee “Dark Phoenix” or “The New Mutants” performing much better. The merger casts such a large shadow over the current incarnation of the “X-Men” franchise, that it’s hard to be excited about the upcoming movies even if they weren’t surrounded by reported production issues.”Dark Phoenix” and “The New Mutants” might not even matter in the near future storywise. We don’t know what Disney plans to do with the X-Men characters, but it has numerous release dates set for yet-to-be-announced Marvel movies through 2022. Disney won’t let a popular property like the X-Men sit idle for too long, though the series would benefit from taking a break. The MCU has proven to be a successful launchpad for unknown characters like the “Guardians of the Galaxy,” but has also breathed new life into characters like the Hulk and Spider-Man. It could do the same for the X-Men … maybe just not right away. It’s ok for Disney and Marvel to hit the pause button, but in a few years, the X-Men could use a complete reimagining. 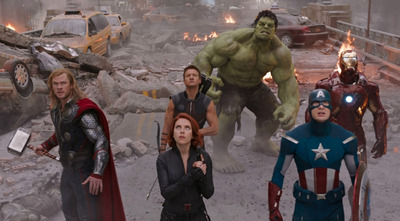 If the MCU can strip the franchise down to its essentials -a small, core team like the Avengers started out as – then the X-Men characters would be able to start fresh for new and old audiences (the same be said for Fox’s other superhero property, the Fantastic Four, which has seen its own share of problems on the big screen). The X-Men’s inclusion into the MCU would also open up tons of story possibilities going forward. In the comics, X-Men villain Magneto is the father of Scarlet Witch, played in the MCU by Elizabeth Olsen. Because Fox owned the X-Men, the MCU hasn’t been able to use the term “mutants.” Now, it can. The MCU would benefit from these possibilities if its veteran actors like Chris Evans and Robert Downey Jr. distance themselves from the universe after next year’s “Avengers 4.”All signs also point to “Avengers 4” being a turning point for the MCU, and the franchise will need new blood if it wants to last another 10 years or more. Marvel Studios president Kevin Feige has said that “Avengers 4” is a “conclusion” for this era of the MCU, and Disney CEO Bob Iger has teased that the MCU will most likely focus on a “new franchise beyond ‘Avengers'” in the future. The X-Men are the perfect substitute. If the only way to save the “X-Men” franchise is for it to die, then so be it. It would rise again.